Brock CareerZone Blog: Still No Summer Job?! So it's the end of July, summer's practically over and you still can't find a job. Never fear - there's still some things you can do to fill your time, and ways to prepare yourself for next year's job search! - Agencies are always looking for people who are interested in helping out - no deadlines or worrying about the competition! An easy way to get that experience you might be looking for, just without the pay check (if you can manage that). - At this point, a lot of places are listing their jobs for the upcoming school year when their student staff might be heading back to their university towns, or just moving on after their summer position. Now's a great time to start that search, and hey, you might get hired on early! 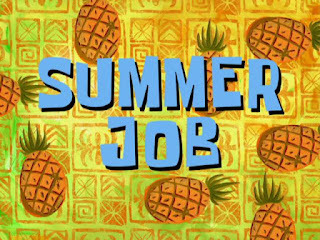 Land yourself a school year job and make some cash for the last month of summer too! - If it's a skill you want to work on, why not take the time to develop it on your own? You know that language that you've been meaning to learn, take it up now! You can learn about pretty much anything for free on websites like Open Culture, which provides free lectures to students! Languages are included. Or you could take the time to develop professionally; sign up for a workshop - see what's available in your city or school community! Check out this website for some helpful tips for what to do in your summer job search, where to find jobs, and what to look for. Super helpful, and hey, it might even help you land something for August!